Moneywise, large-scale sport events like the Olympics or world football cups make no profit, cost the budget an arm and a leg and usually do not pay back. But for Putin, like any other authoritarian-totalitarian ruler, any large-scale sport competition is a matter of prestige, the demonstration of the “triumph of will”, Aryan, Russian and other “spirit”. Like 80 years ago, the Western resistance to the aggressor is inconsistent. On the one hand, everyone formally condemns the aggressor, on the other hand, “sport is beyond politics”. 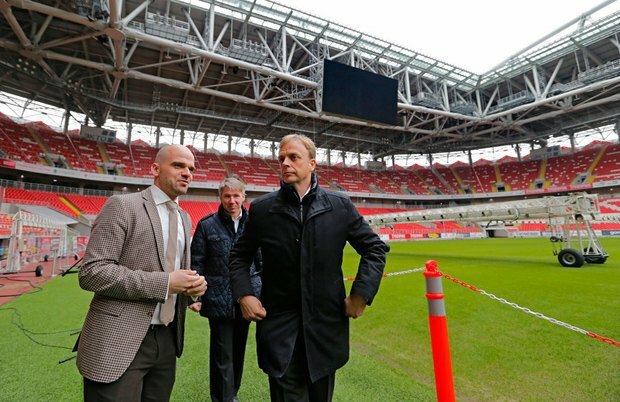 A year before the 2018 World Football Cup, its hosting by Russia is still in question. Rather, there are more questions than answers about it. On the surface, there are obvious facts: in 2014, Putin’s Russia committed an act of aggression against Ukraine, annexed Crimea, de facto annexed Ukraine’s eastern territories which are currently controlled by Russian troops and pro-Russian separatists (DPR-LPR). It is the Russian Federation which continues to send its weapons and “military specialists” to these territories, to control a 400-km sector of the Russian-Ukrainian border and largely sustain the unrecognised separatist enclaves which call themselves “republics”. All of these would be enough to strip the aggressor state of the right to host the 2018 World Football Cup. Unfortunately, this slogan attributed to the founder of the contemporary Olympic movement, Pierre de Coubertin, has for many decades remained nothing but a good wish. As we know from the history of the 20th century, it is used from time to time by not so peaceful states. Certainly, the best-known example of this is the 1936 Olympic Games in Berlin. By the way, Hitler used to blabber much about peace too. 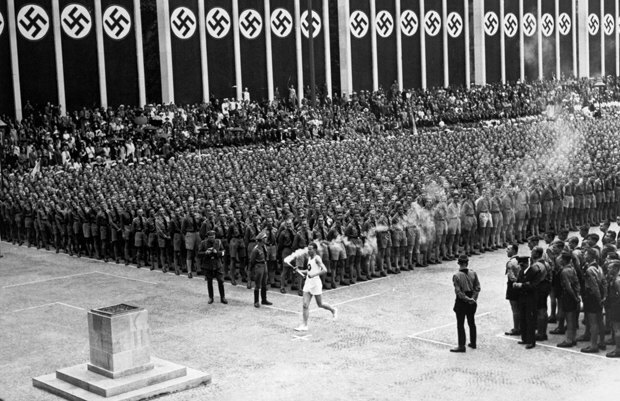 It was de Coubertin himself who supported holding the 1936 Olympics in Berlin and who visited Germany and in his ardent speech on the state-run German radio described Hitler as “one of the best creative spirits of our era”. US National Olympic Committee head Avery Brundage, who visited Germany on the eve of the Olympics, did not stay aside. He did not find any reason why the Games should be moved to a different country and described the idea of a boycott as a “Zionist conspiracy” and an “idea that is absolutely alien to America by its spirit, a controversy aimed at politicising the Olympic Games”. Certainly, all these historical parallels are notional, however, coincidences between today’s situation in Europe and the events of the 1930s jump out at you. On the one hand, everyone formally condemns the aggressor, while, on the other hand, “sport is beyond politics”. However, this highly dubious thesis, which is debunked, for example, by the history of the boycott of the 1980 Moscow Olympics levelled by a number of Western and non-Western countries after the Soviets invaded Afghanistan, has been somewhat modernised today. What is important here is that “political problems” and “sovereign issues” are recognised, although through clenched teeth. And at the same time although FIFA “cannot settle” them, the following line says “football can contribute to building bridges” and other regular blah-blah-blah about “understanding and peace among peoples”. Clearly, behind FIFA’s position are various political and especially economic interests of various persons and groups of influence. And here we again bump into naturally arising historical parallels. 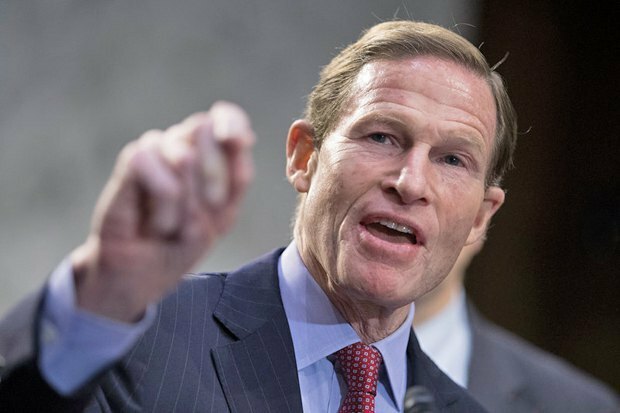 Putin’s Russia, like Hitler’s Germany, is actively engaged in international politics, always supporting the forces which, either deliberately or for money or ideological reasons, carry out the policy which suits the new generalissimo. On the other hand, we see the West, just like 80 years ago, being inconsistent in its resistance to the aggressor. Since 2014, we have observed the largest European states being engaged in somewhat modernised policy of “pacifying” the aggressor. Even the most consistent critic of Putin in modern Europe, which Germany is, keeps saying that it does not recognise the annexation of Crimea and occupation of a part of Donbas, whereas in reality it has been boosting trade with Russia in the recent months. In April, RIA Novosti reported quoting the Russian-German foreign trade chamber that in January-February 2017, trade between Russia and Germany grew by 43 per cent compared with the same period of 2016. 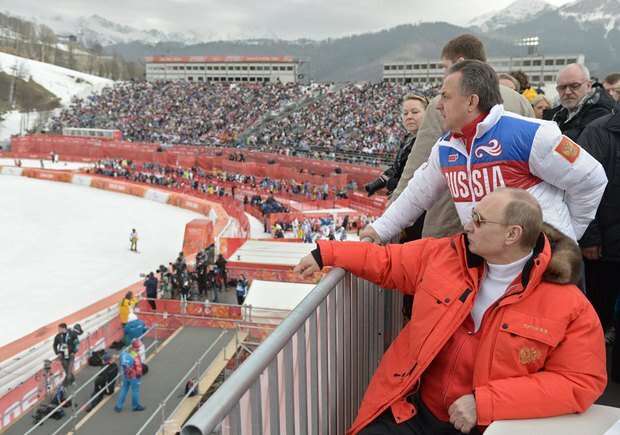 For Putin, like any other authoritarian-totalitarian ruler, any large-scale sport competition is a matter of prestige, the demonstration of the “triumph of will”, Aryan, Russian and other “spirit”. Moneywise, large-scale sport events like the Olympics or world football cups make no profit, cost the budget an arm and a leg and usually do not pay back. But in the case of modern-day Russia, everything is complicated by its aggressive international actions. According to the Financial Times, FIFA is having problem finding sponsors for the 2018 World Football Cup: big sponsors are concerned about their image. So far, it has signed China’s Hisense, however the deal is worth 100m dollars only, whereas FIFA usually covers around 2bn dollars in costs on the holding of world cups at sponsors’ expense. Russian companies are in no hurry to become sponsors either because they fear they will not return their money. But here it is like war. Putin is ready for “any cost”. Especially since huge budget investments in the construction of and reconstruction of stadiums, hotels and motorways, times higher than the initial estimates, have already been made and put to use by Kremlin oligarchs. So they are fine. In the meantime, the opponents of holding the 2018 World Football Cup (WFC) in Russia still have a chance to try and move the competition elsewhere or organize a large-scale boycott campaign. If an aggression against another state is not good enough for this, there are other reasons. For example, corruption. 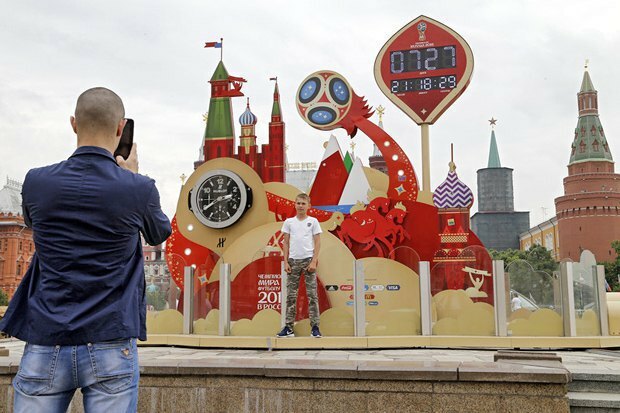 It would be appropriate to recall that even before the French presidential runoff, the country’s Financial Prosecutor’s Office (PNF) launched a preliminary probe into the selection of host countries for world cups in 2018 and 2022. 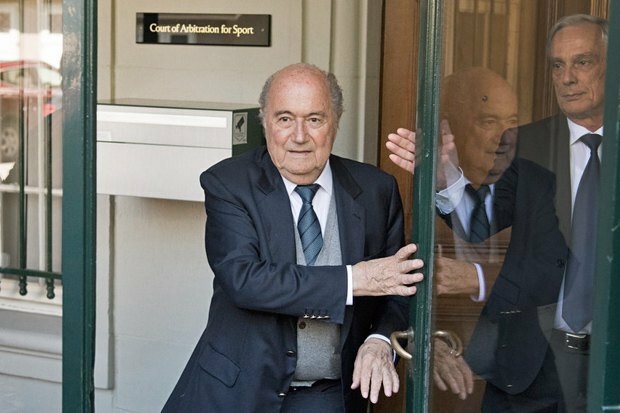 Because of the corruption scandal in FIFA, UEFA head Michel Platini and International Football Federation Sepp Blatter lost their posts. The latter was interviewed as a witness in the case in April. There are reasons to believe that newly-elected French President Emmanuel Macron will at least not obstruct the French prosecutors’ efforts in this area. There is another important factor which can be used by the opponents of Russia hosting the tournament. 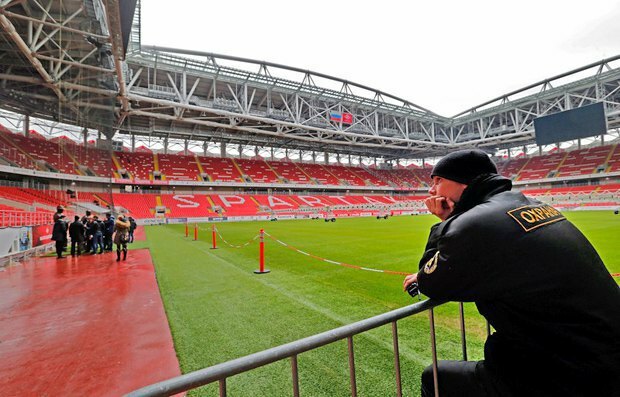 Cyclopean sport facilities created for the world cup in Russia were built by largely rightless slaves. Nowadays few still remember that in June 2013, Russia passed special federal law No 108 which practically put foreign employees used at the construction of 2018 WFC facilities out of the Russian labour and migration legal field. In particular, Article 7 of this law from the day it took effect to 31 December 2018 reads that foreigners who signed contracts with the Russia 2018 Organization Committee “copies of permits for involvement and use of foreign workers as well as permits for employment of such foreigners or citizens without citizenship or any statement confirming the reception of documents during the registration of work permits are not required”. In practice, this means that such migrants can work as much time as possible but they may go undocumented. Correspondingly, such ghosts were and are at employers’ full disposal. They dan anything they please and make unilateral decisions on whether they should pay them their salaries or stop doing this, how much they should pay if they kindly decide so. Article 10 of this law describes volunteers’ work and is also fascinating. It allows volunteers to be involved and used for work while bypassing the Federal Migration Service, tax and labour inspectorates. Their relations will be based on job contracts they sign with employers. It is obvious that this article was drafted with a view to migrants with poor command of Russian. Employers’ task in this case has been limited to signing contracts with migrants where they will be mentioned as volunteers. And when they sign them without paying much attention and come for their salary a month later, they will be shown the papers - everything is legal! You are no-one, a volunteer, and so there is no money for you. Easy! Article 11 allows employers to set irregular working hours for such slaves as well as for hired employees working for salaries: “FIFA, FIFA’s affiliate organizations, FIFA’s contractors, confederations, national football associations, the Russian Football Union, the Russia 2018 Organization Committee can set irregular working hours for employees whose activities are connected to the conduct of events”. Thus, it is legal to work hard for 24 hours a day, including at night, without days off or holidays at WFC facilities. Article 11 specifically says that “mentioned employees are not covered by requirements” of a number of articles of the Labour Code. Among them are Article 113 of the Labour Code (ban on work during weekends and holidays), Article 152 (payment for extra hours), Article 153 (payment for work on weekends and holidays), and Article 154 (payment for night hours).